Since about 2012, the word “immersive” has taken a stranglehold in the vocabulary of experiential marketing. Now, if it is not immersive, or at least say it is immersive in your campaign pitch, it is not going to cut the mustard—as the saying goes here in merry old England. Nowadays, you get immersive “everything”—from immersive theatre and cinema, to immersive dinning experiences and brand activations—but what lies behind the word, and is it more than a fad solely being used for the jargon-lovers out there in the industry? I guess, one may say that all events can be seen as immersive—whether the event is a music festival, sports event or a conference—all could fit into my previous definition. However, I would argue that to be a truly successful immersive experience in our industry, it has to tell a brand’s story with compelling narrative allowing individuals to have emotional engagements across both digital and face-to-face interactions. These stories have to be memorable and shareable in order to justify the investment in the experience. 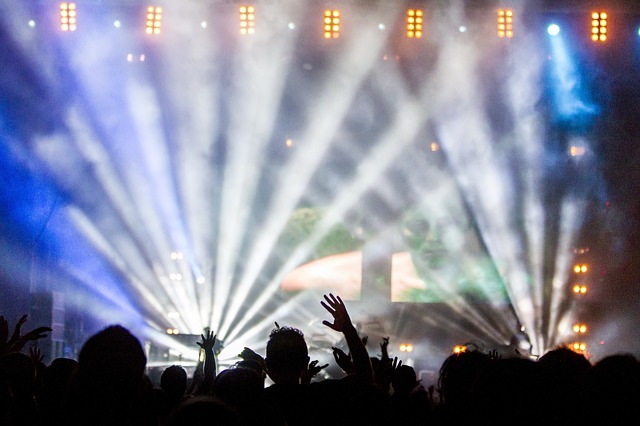 Are live music events immersive? The sharing of stories has a long association with human evolution. In fact, Anthropologists have long argued its importance to our very existence and psychology research has shown that it exerts a big influence on human behaviour. This is due to the fact that we are such highly social animals and, consequently, a story has many powers within complex human social structures. For example, they can help build new relationships and alliances or reinforce them, establish social status, pass on knowledge, express self-identity, or be a catalyst for disruptive change. This is why great storytelling has to be central to immersive experiences, and why brands need to tap into this pivotal part of human life by telling a compelling story and having a strong brand purpose. You see, we are now living in a world where, for consumers, it is no longer simply about which product or service to buy anymore, but about the overall experience they have with a brand at every point of contact. This is where offering immersive experiences can be a key differentiating factor, which help to win over the hearts and minds of consumers. This is the universe we need to populate with our stories to create a truly immersive experience that fully engage people and get them sharing and remembering your campaigns. This is where the live event is staged. Here, we need to design and deliver events that offer a fully immersive experience to the people who visit, which communicates a brand’s message clearly, memorably and is on-brand. To do this, I think it helps to firstly think of these people as participants rather than attendees. If we do this, we immediately change the role of the consumer; moving from passive observer to engaged participant. This really helps in the design phase to create experiential marketing events that are both more interactive and focused on the user experience. One thing to take note of: Technology is hugely important to live experiences. However, in my opinion, it needs to be used wisely and strategically, where it is fully integrated with and supports the brand’s campaign story and message. AR’s potential for mass engagement is huge, due to the sheer amount of people who own smartphones—currently around two billion worldwide. It’s magical because it can create a world simply by pointing a smartphone at an object. How does it do this? “…The technology functions by enhancing one’s current perception of reality. Augmentation is conventionally in real-time and in semantic context with environmental elements, such as sports scores on TV during a match. With the help of advanced AR technology (e.g. adding computer vision and object recognition) the information about the surrounding real world of the user becomes interactive and digitally manipulable. Artificial information about the environment and its objects can be overlaid on the real world” (Wikipedia, 2015). See the video below for a glimpse of its potential for experiential marketing campaigns. VR replicates an environment that simulates a physical presence in places in the real world or imagined worlds and lets the user interact in that world. It can create sensory experiences, which can include sight, hearing, touch, and smell. 2016 is going to be a big year for VR. Big names within the tech world are rolling out their products, which offer great opportunities for the experiential industry. Facebook’s Oculas Rift, Samsung and Google, all have products ranging from £200 to just £4 for google cardboard. Already there have been some great examples of VR being used in experiential campaigns. In particular, one to look at came from the live brand experience agency, BEcause, who recently had campaign using Oculas Rift headsets called the Sensorium. Have a look at the video below of Mark Zuckerberg discussing back in October 2015 why virtual reality is the next big thing. Alternate Reality is a really interesting way of immersing people into your story. Essentially, alternate reality allows for a single story to be told via several different media at once. It was first identified in Japanese culture where young people became immersed in worlds and fantasies through stories being told in such things as Manga and Anime. It was eventually adopted into the American film industry, where, for example, the Star Wars’ franchise created its own universe telling its story across books, comics, cartons, video games as well as the iconic films, before it eventually evolved further into a marketing strategy known as Alternate Reality Games. Having a strong social media presence is paramount to immersive experiences, as they allow people to have their own personal input to the story. Opening up conversations via the plethora of social media platforms, such as Facebook, Twitter, You Tube, Instagram, Snapchat, lets people get immersed by providing communication channels for them to comment, review, share, etc., which maximizes engagement and amplifies the digital reach of experiential marketing campaigns. You need to treat Social media as the glue connecting all the other areas in the “mixed reality” universe. “Tesla Motors hired us to launch a new electric car for them, which was to enter the small, city-car market. The campaign was built around the title, “The Future City Is Now”. Here, we presented “Future City”; a place that is clean, sustainable, powered by renewable energy and everyone is using electric cars. All the technology showcased currently exists and could transform cities in the short-term if consumers’ and governments’ behaviour changed. A year before the event, via our partner agency, we created and activated an Alternate Reality Game, where gamification and great storytelling immersed people into this new world, allowing them to experience life in “Future City”. The storyline supported the wider advertising campaign taking place across other media platforms. This helped drive interest and online participation in the build up to the launch, resulting in over 55 million You Tube views and over 15 million people becoming “Future City” residents. The launch event took place at the International Motor Show in Germany—the largest of its kind in the world. This was a state-of-the-art set-build around the theme “The Future City Is Now”. A partnership was made with an agency to develop and deliver an AR and VR immersive experience at the launch event. This transported key influencers at the motor show into the “The Future City Is Now” world, which generated huge reach through press channels and the blogosphere. In order to offer genuine immersive experiences to an ever increasingly savvy consumer, firstly we need have compelling storytelling that truly immerses people into the brand’s world and message; without it, people are simply not going to be engaged with the content. We then need to tell these stories across the spaces in the “mixed reality” universe. Every campaign is different and budgets vary, so all of these spaces may not be suitable. Nonetheless, trying to incorporate as many as you’re capable of, or think fits best to achieve the campaign’s objectives, will ensure you are providing the most immersive experience possible to evoke human emotions and build brand love. This, ultimately, adds real value to brands and increases ROIs on their experiential marketing campaigns. Remember: Immersive experiences can be more than just an experience at the event or putting on a virtual reality headset. They can transport people into new worlds and realities with the power of storytelling across the different touch points on the customer journey.